In today’s world, commitment is a virtue that is hard to come across. Most people want to do what is convenient and hence finding people who are committed has become increasingly difficult. Commitment is a discipline. It is a deliberate choice we make. The Bible teaches us about being committed. The Lord Jesus stated, “No one can serve two masters; for either he will hate the one and love the other, or else he will be loyal to the one and despise the other. You cannot serve God and mammon” (Matthew 6:24). Jesus thus implies that this is our inherent nature. Man cannot have two commitments that are contrary to each other. 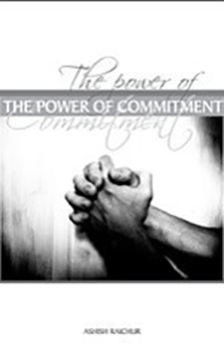 This book emphasizes on the power of commitment and will inspire you to being committed in all you do. The hour to be committed is now!